It was the 12th hour into this Dover Hall Wedding when I looked at my assistant Jorge, and he asked me if I wanted a vodka tonic from the bar. I said “sure”, and then when he turned around I was gone. 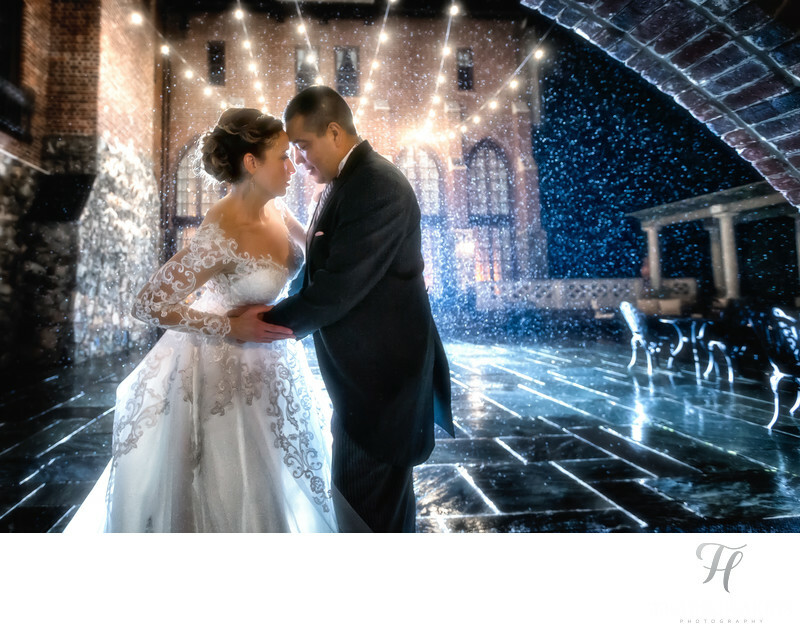 I had noticed that it started to rain outside... and I scrambled to go find the bride and groom “for one last shot”. I yelled back to Jorge “bring the drink with you... and follow me” and out the door we went into the rain with my clients. 90 seconds later, we all walked back into the venue and went to the bar for a big cheer. That Vodka really hit the spot, and I knew at this point I had truly rocked out this Dover Hall Wedding! I truly think one of the hardest parts of being a wedding photographer is in fact to be able to maintain energy all throughout the day. I wont lie, at the end of any wedding I am very tired and I can't really say that I am "creative" anymore. So, being able to pace myself all throughout the day and to still be aware of creative opportunity that maybe present is something that I know and understand deep down, and it's this type of dedication and care that makes me just another notch beyond that of most wedding photographers out there. You can actually watch me in action at this wedding, and I have included a video below that is a 60 second preview of the full 30 min. episode. You can check all of this out on the full blog post over here. Location: 1500 Manakin Road Manakin-Sabot, VA 23103.